Anyway, enough about weird Japanese 16 and 17 year olds. 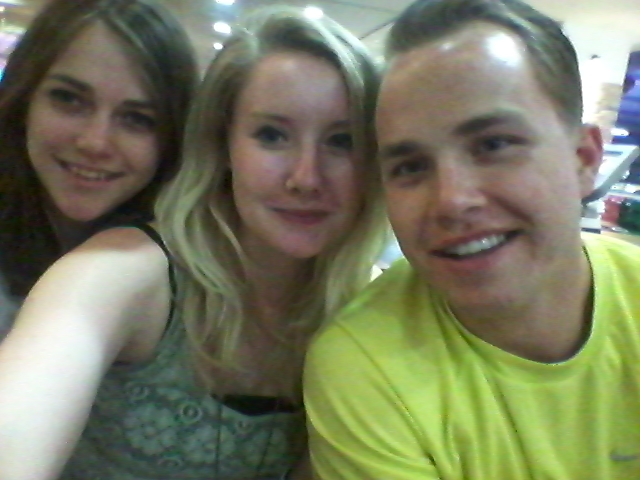 A few weekends ago one of my favourite Americans graced me and Emily with his presence. 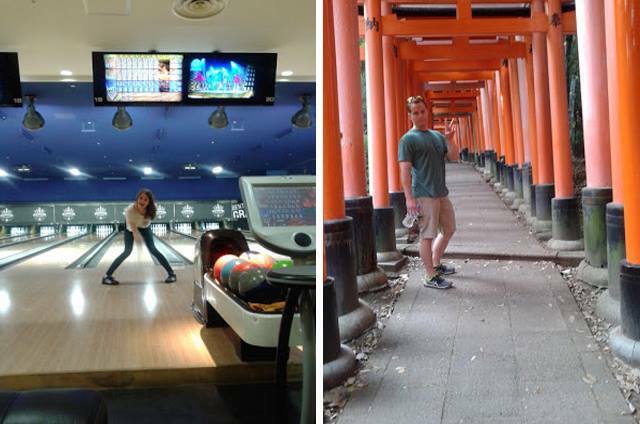 Tyler visited for a few days and we dabbled in the likes of bowling, drinking, sightseeing and more drinking. The first day I was hungover, the second no one was hungover and the third day Tyler couldn't move for his hangover. However, we had a pretty sweet weekend and I took him to my favourite falafel place in Kyoto which he couldn't get enough of. Tyler and I were supposed to go to Osaka Aquarium on Monday, as it's one of the biggest aquariums in the world so I was pretty excited. But after Tyler failed to recover from his hangover I spent the day watching Les Mis, whilst Tyler died in my room. 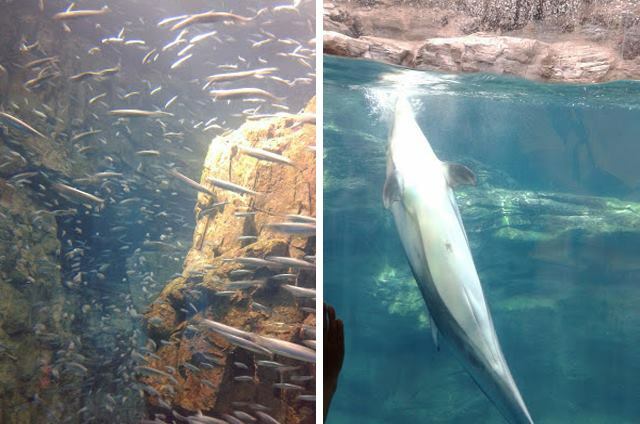 So then I went to the aquarium the following week. It was pretty big and at first I was hating on myself for not getting a yearly ticket, but I now feel I made the right choice. It was a good aquarium, even though there were too many kids, but overall it was just like any other. Another exciting event over the past week was visiting the Golden Pavilion in Kyoto which is probably the main site to see in the city. Pretty gold and pretty expensive! 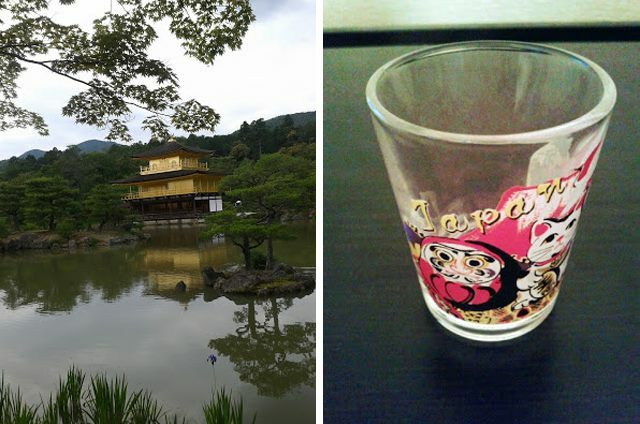 The best part of the day was finding a Japanese shot glass which has taken me six months to find, so now I can leave Japan a happy woman. Yesterday my homeslice and I visited Nara which was such a beautiful place. 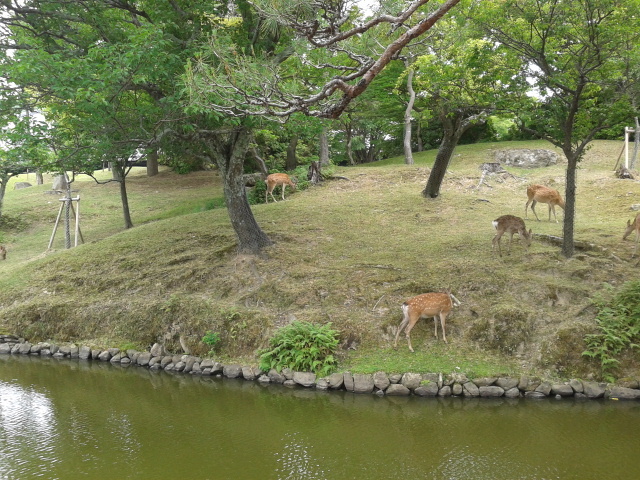 Wild deer were roaming around everywhere and we got to see a lot of fields and forests which are so far non existent in Japan. I felt like I was back in England which was nice for a few hours. 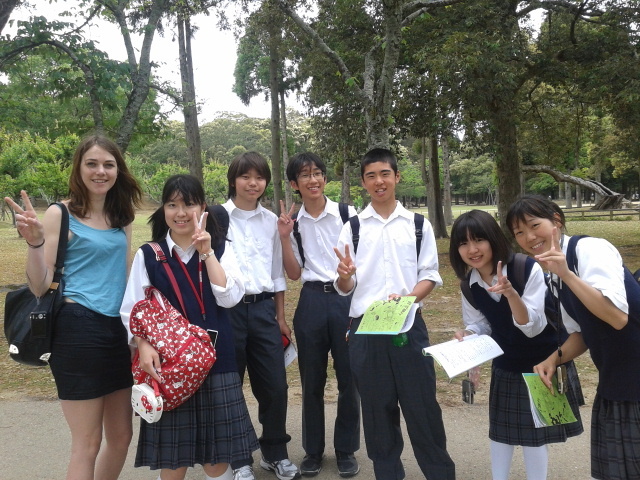 To top the day off a few Japanese kids started speaking to us and then they asked for our autographs. Further news, Charlotte and I have sorted the start off our trip to Taiwan and the Philippines. The date is arranged to meet my homegirl in Taipei to party for a few weeks! Which leads to further news that I'm now working on achieving my bikini body. This might fail tonight as I'm going to a Belgian beer festival, but I've got time! Awful lot happening, blah blah blah.